Lice treatments are now judged to be ineffective. A recent study shows that medication that has previously been used to treat head lice is outdated. The new study, which was published in this month’s issue of Journal of Medical Entomology, warned that many head lice in North America now have a gene mutation that resists typical over-the-counter treatments. The study, which was co-authored by John Clark, professor of environmental toxicity and chemistry at the University of Massachusetts in Amherst, builds upon a developing problem that scientists have been following for the past 20 years. Study researchers noted that head lice infestation is a prominent public health issue. Approximately 10 percent of all school-aged children around the country miss school because of the problem, which includes intense itching and secondary infections. Today’s head lice are equipped with a gene that makes its nervous system immune to the once toxic effects of specific medications. This resistance is directly linked to many previous years of treating head lice infestations with the same medication. Head lice are now able to withstand exposure to ingredients found in many nonprescription head lice drugs, including pyrethoid compounds such as permethrin. Head lice is a small parasitic insect that is often spread among groups or members of the population who lean their heads together. As a result, it is generally found among younger children in elementary school and in preschool children who attend daycare. 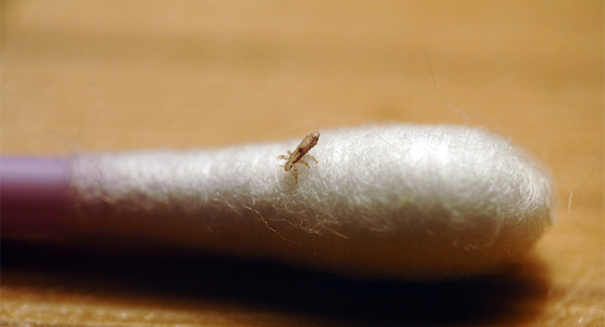 Once a child is infected, the lice can be spread to other people in the house. Lice do not transmit disease but they do cause intense itching. According to the CDC, between six and 12 million U.S. children between the ages of five and 11 are infected each year.